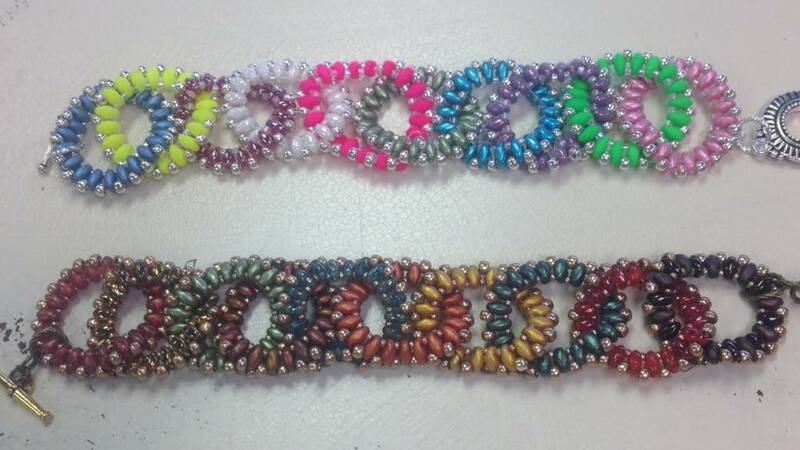 11/28 6-9pm Whirling Duos Bracelet - Bloomin Beads, Etc. This lovely superduo bracelet is created with combinations of colors and finishes to catch the eye! The links are created one at a time and joined as you go! There are some really fun color combinations you can choose from! If you have never used this technique, come learn! If you already know, come make this fun piece with us in class!